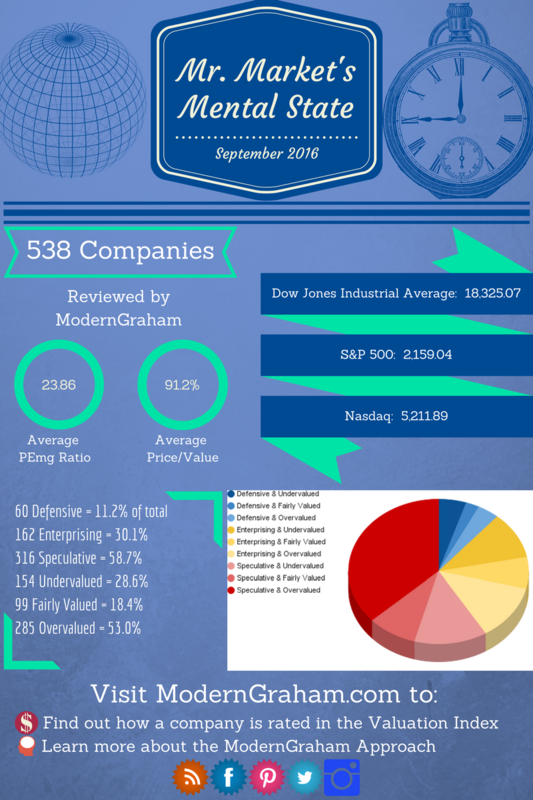 This month, out of the 538 companies reviewed by ModernGraham, the average PEmg ratio (price over normalized earnings) is 23.86 and the average company is trading at 91.2% of its intrinsic value. Last month, the average PEmg ratio was 24.68 and the average company was trading at 89.4% of its intrinsic value. At the time of writing, the Dow Jones Industrial Average (DJIA) was at 18,325.07. The ModernGraham Valuation of the DJIA was 19,223.71. 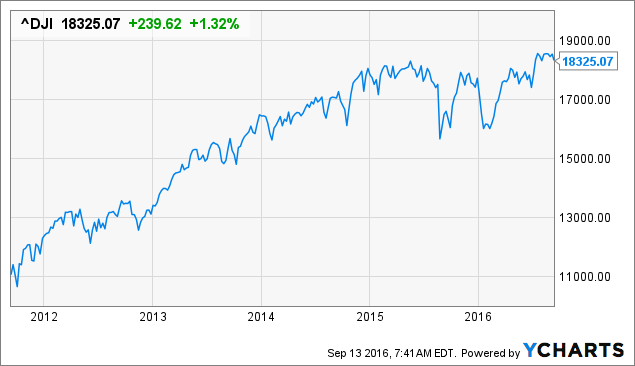 As a result, the DJIA was trading at 95.33% of its estimated value. This figure is within the ModernGraham margin of error, and therefore it appears the DJIA is presently fairly valued.